Tis the season for spring cleaning and we’re not talking about the growing pile of junk currently residing in your garage. Let’s talk HR! More specifically, taking time out of the new season to tighten up your company’s hiring process. The new year isn’t so new anymore, making this a great time to get a head start on setting hiring goals, determining areas to improve the hiring process and strategizing a plan of action to put those wheels in motion. So, let’s make a pot of coffee, put on our spring cleaning clothes and get our hands dirty! What are we doing wrong in our process? How do we fix it? What areas of our process can be eliminated or streamlined for efficiency? Does our Talent Management Software offer everything we need to have the most efficient hiring process? You may not like what you find from your evaluation, but that means more opportunities to improve the hiring process. The lacking areas in your process could be fulfilled by the right HR software. ClearCompany has an ROI calculator that invites HR pros to see the savings incurred from having an HR Software like ours. If you’re on the fence about your current HR software (or lack of), check out our ROI calculator today and let us know if you’re interested in our comprehensive Talent Management Software. Take a look at previous hiring goals and determine if, in retrospect, they were realistic. Did hiring goals align with organizational goals? Were sourced candidates an accurate fit for the company culture? Recent research by Brandon Hall Group shares 95% of companies admit to hiring the wrong people every year. That is an insane statistic and one that should inspire you to do a little digging. This is a great opportunity for HR to touch base with current employees and gauge the effectiveness of the team’s hiring efforts. The use of anonymous surveys are great for obtaining honest responses from employees but anecdotal evidence from face to face meeting is also useful. 95% of companies admittedly hire the wrong people every year. What's the solution? After deciding what areas of the hiring process to improve and how, it’s time to convene the team. 86% of employees and executives cite lack of collaboration or ineffective communication for workplace failures. The hiring process has the potential to impact every area of a company’s business, not just HR, so making sure every member of the hiring team understands the changes being made and their role in the process is essential to creating efficiency. According to CareerBuilder’s 2015 Candidate Behavior Study, 85% of respondents said a clear description of the job duties would most likely have a positive impact on their decision to apply for a position. Beyond transparency, job seekers today are looking for a career, not a job. Take a look at your company’s current job ads and decide if they’re a transparent and true representation of the job and the company. If not, it’s time to tidy them up! The candidate experience is becoming the cornerstone of today’s best recruitment strategies. Video interviewing creates a favorable candidate experience by allowing candidates to better prepare themselves in the comfort of their home. It saves the company time and money and accelerates the hiring process. In fact, many companies today have replaced traditional phone screening interviews with video interviewing because of the time savings it allows. Does your talent management software have a video interviewing solution? We can help. ATS exist to support recruiting teams and ultimately make the hiring process more efficient, but it’s easy to take that for granted. When recruiters go on autopilot and fail to take advantage of the benefits of a solid ATS or fail to follow up with candidates, that reflects poorly on your Quality of Hire metrics and drives quality candidates away. Make sure each member of the team fully understands the ins and outs of the ATS and create a set of check and balances for them to follow as they carry out the new standards you’ve created. A little improvement here and there never hurt anyone and with the perpetually changing needs of the workforce, continuous improvement is a must. 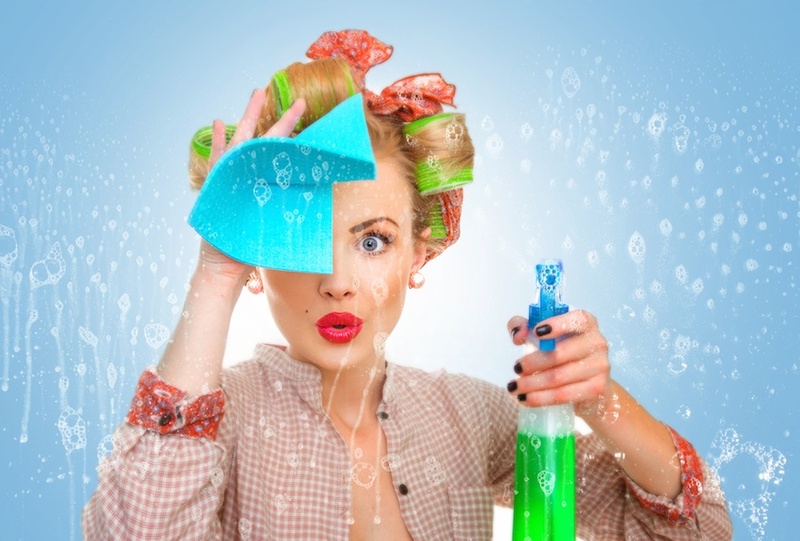 Who says spring cleaning only happens at home? These practical to-dos can be used every quarter, if necessary, whatever it takes to make sure your company’s hiring process is as efficient and effective as possible. ClearCompany’s Talent Management Software covers the hiring process from sourcing to new employee onboarding to performance management, for a seamlessly integrated system. Let’s talk about how we can take your company’s Talent Management needs to the next level!